Arunachal Pradesh Shares its Boarder with the Republic of China. Arunachal Pradesh is an Indian State located in the northeastern part of the country; its capital is the city of Itanagar. The state's name means "land of the drawn lit mountains" and/or "land of the rising sun". It's bordered by the Republic of China, Burma, Bhutan and the Indian States of Assam and Nagaland. It's India's most eastern state and its population consists mostly of people who primarily have Tibetan or Burman origins. A large number of people from various regions of India have migrated to the area. There is a famous road here called the Ledo Burma Road. It runs through the state and was once used as an essential transport route for China during World War II. The roads northern border lies on the McMahon line, which was founded in a controversial treaty between the British and the Tibetan Government, but their division of the region was never accepted by China. In 1914, a treaty called the Simla Accord was developed in India between the British and Tibet. This event took place during India's modern history. Most of Arunachal Pradesh is covered by the Himalayan Mountains. The southeastern part of the state includes the Brahmaputra Valley Forests and the state's elevation increases dramatically as you move northwest through the state towards the Himalayas. Like most of northern India, the climate varies by the elevation of the land. There's an Alpine climate in the upper Himalayan areas, a temperate climate in the Middle-Himalayas, and a humid, tropical climate in the sub-Himalayan areas, which are closer to sea level. Overall, you could say the state's geography influences its climate. 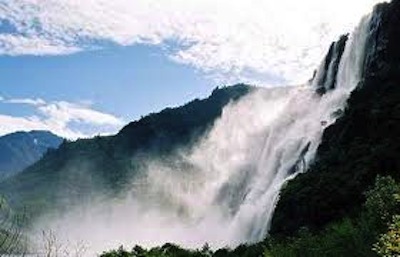 Arunachal Pradesh receives rainfall between 80 and 160 inches each year and most of it happens between May and September, which is considered the state's monsoon season. The state's economy is driven mostly by agriculture and the primary foods grown here are rice, millet, wheat, pulses, sugarcane, ginger, oil-seeds, and various types of fruit orchards. The region's economy sees some income from handicrafts, which are sold around India at Handloom Stores; these are a chain of stores that specifically sell hand-made crafts. An unfortunate amount of corruption occurs in Arunachal Pradesh; which prevents the economy from thriving the way that it could and should be able to. The state is beautiful and would make an excellent tourist destination, but the strict local state government does not allow many outsiders to visit. Hopefully, these restrictions ail be lifted and the state can flourish in the future. More than thirty languages are spoken in Arunachal Pradesh; many of which have been derived from various tribal elements. Most dialects spoken come from the Tibeto-Burman family of language. The state can be easily broken into mini cultural areas: the Tibetan area of Bhutan in the west, the Tani area in the center, the Mishmi area to the east, the Tao/Singpho/Tangsa area along Burma, and the Naga area to the south. The Religions practiced in this state differ from those practiced in many other Indian states. Around thirteen percent of the population are Buddhists, twenty percent Christians, and a large, but uncertain number of people are animists, meaning they follow tribal-shamanistic animal religions. A growing number of people are now practicing Hinduism here as well. There are three airports scattered around the state and a few major highways. When it comes to education, the state struggles, but it's working to improve its status. There are educational and religious schools that are springing up and gaining popularity. There is also a major University in the area called Rajiv Gandhi University. There are seven government colleges, and the North Eastern Regional Institute of Science and Technology is located here too. The limited number of tourists who are able to visit Arunachal Pradesh come to see a beautiful Buddhist monostary in the city of Tawang, to enjoy cultural festivals in Ziro, to see the Namdapha tiger project in Changlang, and Sela Lake near Bomdila, with its famous bamboo bridges. In religious stories, Lord Krishna's wife had lived in Rukminiager, near the area of Roing. Rafting is also quite popular here, but make sure you get a government permit to do so when visiting so you can have fun and not get in trouble! Leave Arunachal Pradesh to visit the other states and union territories of India. Get useful tips for traveling to India.